I sat in a restaurant the other day and watched a grade-school sized child endure a massive coughing and sneezing fit. By massive, I mean a series of sneezes followed by a volley of gurgle-filled coughs and then more sneezing. While I felt sorry for the tyke, all filled with snotty goo, I was happy to leave her behind as I walked out the door into fresh air. According to Weather.com Cold and Flu Facts, cases increase during the fall and winter months, then taper off in March and April. Homes with children are more susceptible to these seasonal visitors, and women have more colds than men. If you’re a 60-something, your chance of having a cold drops considerably, less than once a year on average. If you work from home in your personal studio, your chances of coming into contact with a cold or flu carrier is lower - significantly lower if you live by yourself. 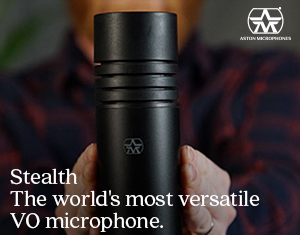 And, it’s almost guaranteed you won’t get ill if you live in a cave. Some caves have good ‘coustics! However, if you are a parental unit with a spouse and kids, your chances are pretty good that you’re going to get exposed to somebody who is beta testing the latest strain of cold or flu. You’ll have what they’re having and you’ll pass it on to your studio. And your studio is the money maker. Sure, you’ve got the pipes and sound super cool when you’re recording whatever it is that gets producers to write you a check. But without your studio you’d be reduced to using string and cans or traveling to somebody else's hood to record. Think of your studio as a living being, one that you have a symbiotic relationship with. You both rely on each other for survival, and just a bit of common sense will help keep your studio free from nasty cold and flu bugs. With that in mind, here are some tips to keep your studio in healthy, usable shape through the season. Your studio is sacred and should only be accessible by the truly healthy. Reduce the potential of ill-inducing germs getting in your way by limiting or eliminating access to anybody who has symptoms. That includes you. If you’re sick and only working because you "feel” you should, don’t. Take time to repair, stay away from the sickos. Once a week, give your studio a cleaning. Clean you monitor, wipe down your keyboard and mouse. Use an electronics-friendly cleaner and a soft cloth on your other pieces of gear such as speakers, audio interface and control surfaces. Finally, give your pop filter a rise with warm soapy water. Dust makes me sneeze and when I sneeze I get congested and when I get congested I sound like poo. Use a clean cloth and surface cleaner to pick up the week’s accumulation of micro-particles. Your studio will appreciate your hands-on approach to keeping its surfaces clean. Stress is more than happy to give cold and flu a hand when it comes to plying their ickiness. Keep stress to a minimum whenever possible. Keeping your area organized and clutter free will reduce stress and even make you feel more on top of your game. With your studio in order, stress will take a hike and your efficiency will improve. During my early years in school at Belgrade Elementary, the teachers were constantly reminding me to wash my hands. Not just reminding me actually, but everybody. At the time I thought it was a dumb idea and a big time-waster. There were more interesting things to do. OK, so, now I get it. Washing hands reduces germs. When you come in from the outside world (that’s any place that’s not your studio), wash your hands first before heading into your studio. If you find yourself hand washing a lot, use cooler water. Hot water strips away oils that keep your hands from getting chapped. Regardless of water temperature, make sure to use a hand soap you like. Maybe a nice vanilla almond or lavender. It’s like washing your hands. Nobody enjoys emptying the garbage can. It’s just one of those things that you have to do. Remember to keep your perimeter up and empty it yourself. While one of your child slaves might have the weekly duty, their potential for carrying seasonal germs IN while carrying the garbage OUT is quite high. Don’t allow them to pollute your space. You’ve done everything I’ve suggested in this list of paranoia and still managed to get sick. Now you’re taking it easy to recover so you can get back into your pristine studio. Your sneezes and coughs increase air-born gunk that other people can breathe in. Do what you can to reduce that from happening. When spontaneous histamine-triggered expelling occurs, do it into a fresh tissue and then toss the entire mess away. No tissue in sight? Sneeze or cough into your shirt sleeve, at the crook of your elbow. This should be obvious. In case it’s not, your hands collect a lot of garbage, hence the hand washing. If you stick a finger or your small one sticks a finger in any of the above mention places, you’ve just released the hounds on your immune system and they wont stop until you are feet up in bed and ankle deep in bunny slippers. Drinking several ounces of water a day is just part of what we do. It keeps our pipes in working fashion, reduces mouth clicks and keeps our thirst at bay. When you’ve captured a cold or flu virus, staying hydrated is doubly important. Your body uses the water for everything, and when you’re sick, it uses more of it. While you’re recovering, there are a few things you can do to feel better. Hot drinks with honey and lemon are a start. There are some home remedies that suggest adding a shot of your favorite spirits to a cuppa something. While it sounds good on the surface, alcohol is a dehydrator, which will work against your hydration process. I’m a fan of the herbal tea ThroatCoat or something a bit wilder like Bengal Spice or Orange Spice. And your body will benefit nicely from extra rest and sleep. It’s working hard to get you back in the studio, so give it a chance with some time. Also, keep warm and comfortable during recovery. Stress will raise its ugly head when you’re feeling cold and uncomfortable. Start counting down the days until warmer, more humid weather. Mark the first day of spring as the un-congested light at the end of the cold and flu tunnel. Then you and your studio can relax. Until then, can I offer you a vitamin C or zinc tablet? Yvonne- Excellent! I always feel like I'm more productive when my studio is in order and get a bit twitchy when I've neglected it. A flu shot can't hurt, might help! Jim- I agree with your BiL doctor. I'm mindful of my eyes and get a bit paranoid when I rub them. 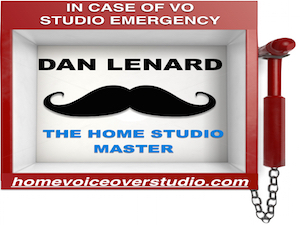 Really, I'm not a hypochondriac but I've played one in VO! 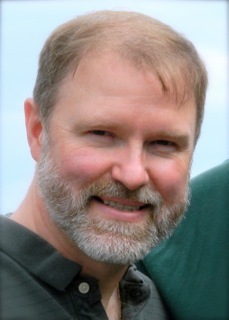 Christopher - this perfectly coincides with a renewed energy to get my space in better order. Glad I already got my flu shot! 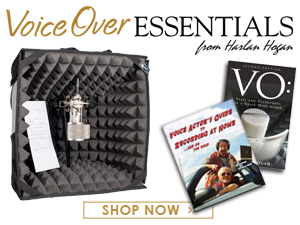 JCD, this is one more great reason why Voice Over Xtra is on my daily list to check out. BTW, my brother-in-law the doctor thinks the eye is a huge culprit because there are societal prohibitions against sticking fingers in mouths and noses, but none about eyes. We do it all day and never think about what we're letting in. Thanks.